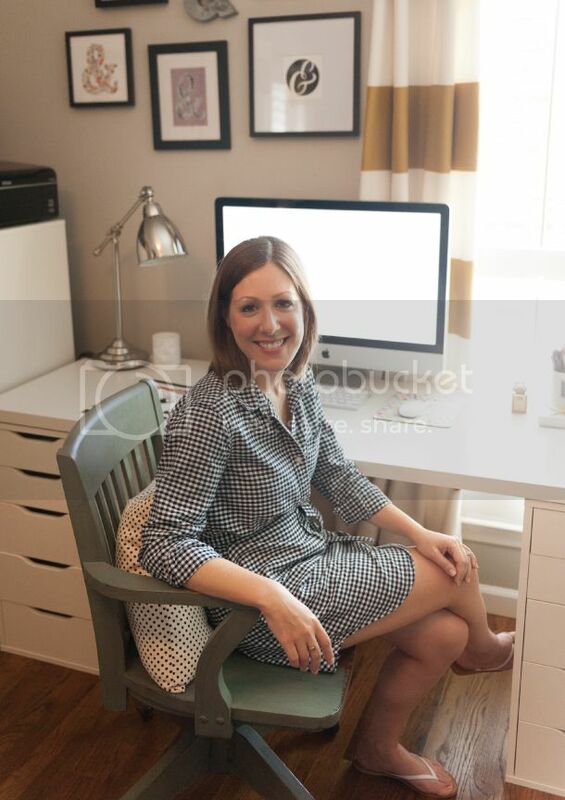 A few weeks ago, I had the honor of being interviewed for the Meet a Mintie feature on Minted's blog, Julep. You can read the full interview here. 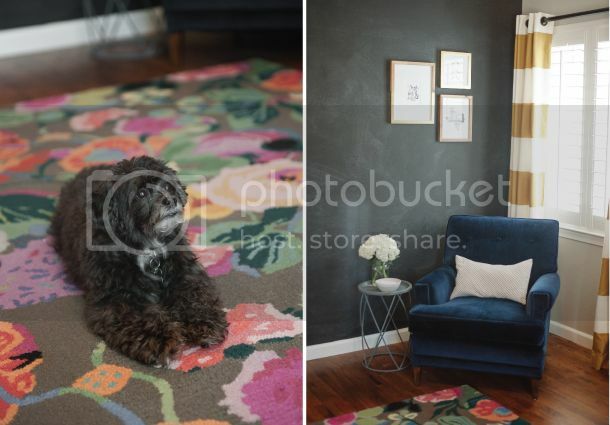 Thanks to Julie Norine (of Matt & Julie Weddings) for snapping the photos my office (and Marley) for me! Posted on October 9, 2014 by Lauren Chism and filed under Business and tagged Lauren Chism Lauren Chism Fine Papers Minted. 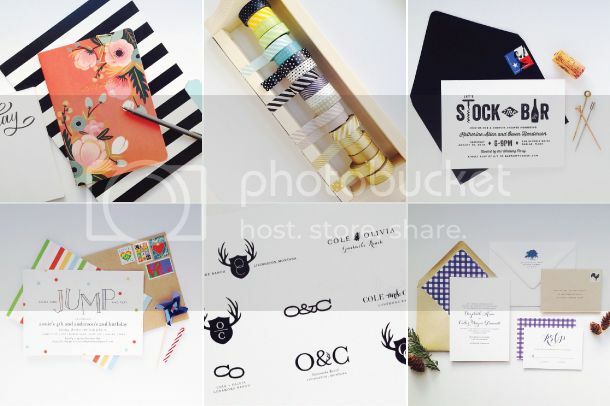 Like I mentioned in the last blog post, I've been sharing my Minted submissions on Instagram. I started printing them out and styling them a little and have had fun showing off some of my work this way. The thing about Minted is, the competition is very tough and just because it isn't chosen, doesn't mean it's not good. If they don't sell a design, they sometimes get lost in my file folders, never to be seen again. Sharing them with followers is the first step to getting them in my shop once the contest period is over. That's my goal anyways! I have been tagging them '#minteddesignchallenge' and so if you are submitting to Minted, you should share your designs too - I'd love to see more than just my stuff with that hashtag. 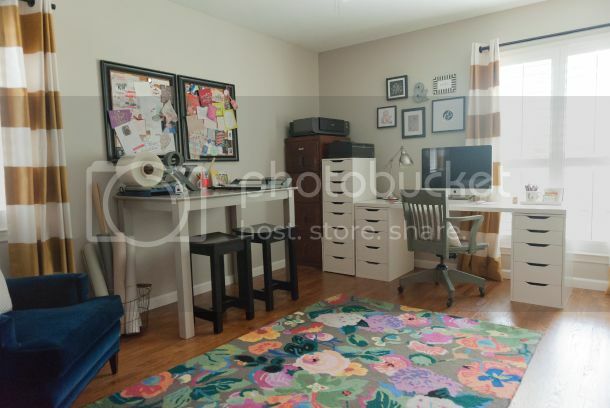 Sidenote: Did you know that Minted prints out every design and puts them on a display board for editor's picks? Their offices are full of display boards and printed out designs. It can't hurt to print them out to make sure they look good this way, and you might as well snap a photo while you're at it. Posted on February 25, 2014 by Lauren Chism and filed under Business. Lately, I have been trying to figure out how to best use social media and blogging and am working to make it something I enjoy instead of something I feel guilty about not doing enough of. There's no doubt that both are good for your business, but let's be honest, it's a lot of work and as a one-woman-business, it's not always a priority. I am trying to find a balance between what I would like to do and what I am actually able to accomplish, so I have been planning for a little more consistency and organization. Basically, I want people to be able to follow me on all platforms if they want, and that means I want to make an effort not be redundant. I don't want to post something here, than the same photos on Facebook and the same photos on Instagram, every single time. I think a little overlap is good, but should be done sparingly, so I am planning to do things a bit more organized going forward, so you know what to expect. The Blog Because photographing, editing, and post preparing can be very time consuming, I am going to keep blogging for the really good stuff. Blog-worthy stuff. What is 'blog-worthy' you ask? Stuff that has been photographed (no more digital image posts), real weddings, design and wedding inspiration, with some business and personal stuff thrown in. Instagram For more of what I do day-to-day, you can follow me on Instagram. 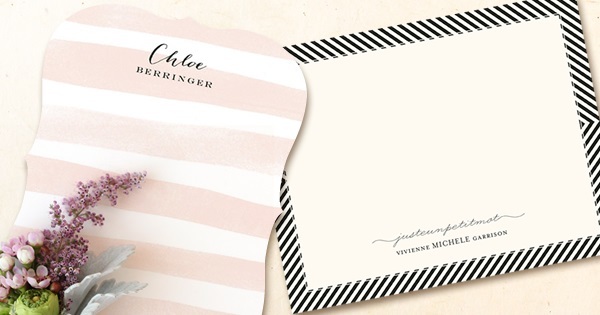 Minted design submissions, real wedding invitations (they can look very different than what is on my site), peeks at pretty paper and designs that don't get formally photographed for whatever reason. Instagram is just more fun and less pressure for the perfect photo and I'm finding it's a great creative outlet for me. It's a fun break to sit and style my designs. I also tend to share photos of my adorable dog… you've been warned. Facebook Facebook will be a bit of a bridge between the blog and social media. Facebook will provide links to the blog and any other updates. My instagram feed is accessible through there and I have organized all of my Minted work by category. I am working to update my photo albums full of gorgeous images of Real Weddings, Showers, and Custom projects, so you can browse easily. 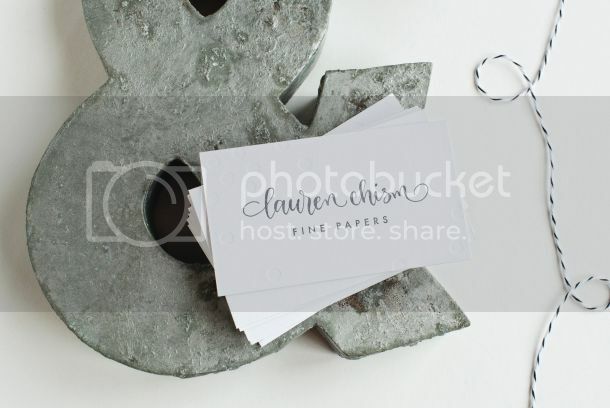 Minted I am pretty sure that Minted brings more people to me than I bring to them, but if you do find yourself on my site and want to check out my full collection, check out my Minted store front. 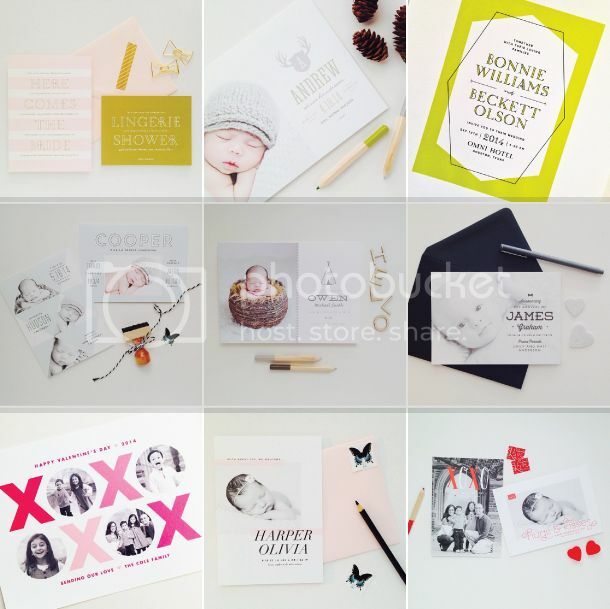 All those designs are sold exclusively through Minted. I am not involved in the order process, but I do receive a commission on orders. Twitter I am not going to lie. Twitter has kind of gone by the wayside for me. Since most of my social media is used for work, I find photos make so much more sense. Instagram is just more practical. For you Twitter people, I do link up Instagram with Twitter every now and again, but otherwise things are likely to be fairly quiet on that front. That about covers everything, so you kind of know what to expect if you want to keep up with certain areas. To me, this seems like an attainable balance and I am excited to see how I do! Posted on February 21, 2014 by Lauren Chism and filed under Business. 2 years ago, today, I started one of the biggest adventures of my life. I left my accounting career, steady paycheck and calculator (okay, maybe I took that with me) behind and traded it for design programs, stacks of paper, and that annoying little thing called the unknown. I had no idea what being a full time designer would be like - I think I envisioned sleeping in, leisure designing, and free time. The reality was that I worked more and harder than ever before. Sometimes it doesn't feel like work and sometimes it does, but it has been the best, most rewarding and fun 2 years. This year was a year of streamlining - learning to manage things in the most efficient way possible. This time last year, I felt a little in over my head, and I realized that everything was completely in my control. I am the one that calls the shots - so if I wanted things to be different, then I needed to change things. A successful business didn't have to mean a big business and so I set some guidelines for myself to create my ideal business: a small, one woman business. Now, things feel more under control and enjoyable, and this focus helped make the biggest hurdle of the year - the seemingly devastating business name change, start to feel more fitting, more me and more like it was all 'meant to be'. I feel so so lucky to be able to do what I love and sometimes can't believe that this is my job. I want to thank my family, friends, clients, fellow designers and Minted for allowing me to live beyond even my craziest dreams. And in the spirit of being my own boss, I think I'll give myself the afternoon off! Happy Friday! Posted on November 1, 2013 by Lauren Chism and filed under Business.